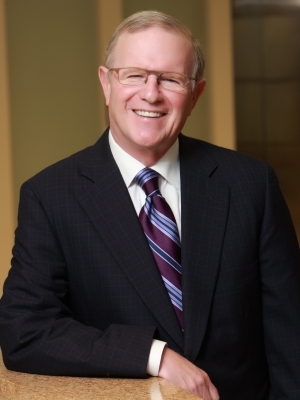 In a practice spanning more than four decades, Bill Carr has handled in a wide variety of transactions, domestically and internationally, touching virtually all aspects of real estate law including sales, purchases, leasing, joint ventures, financing, workouts, condemnation, development, oil and gas, and real estate litigation. Consistently recognized by his peers and by rating services as a knowledgeable real estate lawyer, Bill has been listed in Best Lawyers in America every year since 1995 and has also been listed for many years in Chambers USA, Missouri-Kansas Super Lawyers and Who's Who Legal—Real Estate. He received the inaugural honor of Kansas City Real Estate Lawyer of the Year from Best Lawyers in America. In 2009, Bill received the Baron of the Boardroom Award from the Kansas City Metropolitan Bar Association in recognition of his distinguished career representing corporate and business clients. He is AV® Preeminent™ Peer Review Rated by Martindale-Hubbell. Bill served as the managing member of the Kansas City office of Lewis Rice for 20 years and prior to that chaired its Real Estate Department. As a Fellow of the American College of Real Estate Lawyers, Bill has served on its Board of Governors and chaired its Leasing Committee. He is past Chairman of both the Managing Partners and Real Estate Sections of the Kansas City Metropolitan Bar Association. Bill has served as an adjunct professor at the University of Missouri at Kansas City Law School, and he has been a frequent lecturer and contributor to local, regional, and national real estate seminars and conferences. He has also been a member of the Advisory Board of the Georgetown University Law School Advanced Commercial Leasing Institute. Bill has long been active in the Kansas City Jewish community and has served as President of the Jewish Federation of Greater Kansas City, Temple B'nai Jehudah and of the University of Kansas Hillel. Furthermore, he has been a member of the Boards of the Jewish Community Center, Village Shalom, the Jewish Community Foundation, and the Jewish Community Campus. Most proudly, Bill and his wife, Robin, are the parents of three wonderful children and have eight terrific grandchildren.